Compound Calomel Pill and ointment made up of equal parts of the nitrated mercurial ointment and an astringent injection called Hugi Lard. Used for herpetic eruption of ears that block hearing. For “noises in the head” or nervous deafness (i.e. 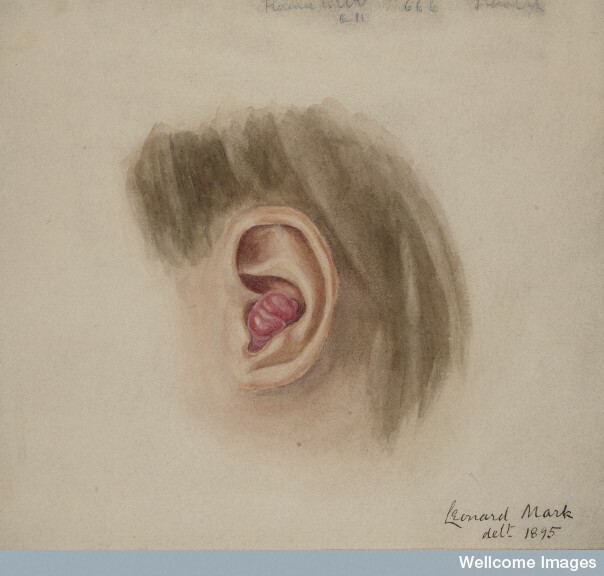 congenital deafness): Seton on neck, blisters behind ear, Submuriate of mercury, sulphate of magnesia, strict antiphlogistic regime. Puncture of tympanum for obstruction of the Eustachian tubes preceding from syphilis.